I would like to take this opportunity to thank Tsebo Cleaning Services for their assistance through Mediclinic Limpopo’s ever changing needs.During our building project, we had a number of challenges to overcome, this included; no water,opening and closing of wards without notice and implementing new policies and procedures with the changing of our brand a year ago. 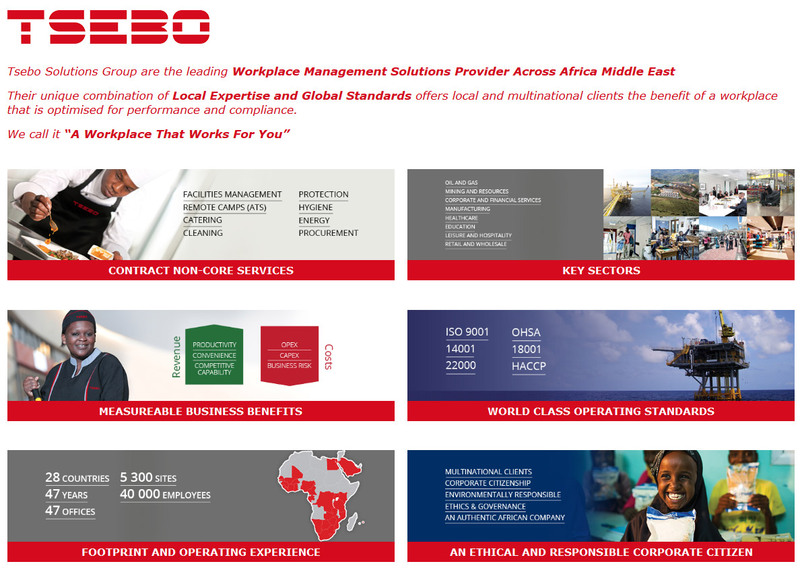 The Tsebo team and management have been supporting us every step of the way. They never once complained about the additional task required as the hospital expanded. Thank you for your support in making Mediclinic Limpopo sparkle. At HP-Senderwood, we have one Supervisor, 2 cleaning ladies and one gentleman for the day shift. For the night shift we also have three people. I would like to praise Tsebo Cleaning Services staff for the effort, friendliness and helpfulness. They are always prepared to assist with whatever task and at whatever time of the day, even on their lunch time.I don’t want to mention names but the staff we have on site deserve the highest recommendation.If I can recommend Tsebo Cleaning Services to the person reading this I would do so without any question. Always a pleasure working with them! This serves as a token of appreciation with services rendered by Tsebo Cleaning Services team to Motions Academy. In the mornings when we get to the office we find the ladies already cleaning and tiding up the office, so we can have a fresh and clean start to our working day. Our environment is always clean and appealing and this motivates and keeps us a positive note. During our hectic function or events days, Tsebo Cleaning go an extra mile serving coffee or tea and tiding up the place afterwards. They are really team players! What I have noticed is the team spirit amongst each other which drives them to come out with excellent end results leaving us completely satisfied. I cannot recommend any other cleaning services company as I am a very happy client. I felt it necessary to place on record my sincere appreciation for the excellent service we are receiving from your company and in particular one of your employees, Davis Hunter Mdluli, at our offices here in Greenstone Hill. Cleaning services and especially cleaning services offered in restrooms etc, often go completely unnoticed until the service offered is unacceptable and I therefore feel it necessary to compliment Hunter on the really superb job that he is doing at our offices. Since we moved into the building at the end of April 2012 our restrooms have always been kept to the very highest standards of cleanliness and for this I thank him. It would be appreciated if you could please pass this compliment on to Hunter so that he is aware that his efforts have not gone unnoticed. Thank you once again for the excellent service.